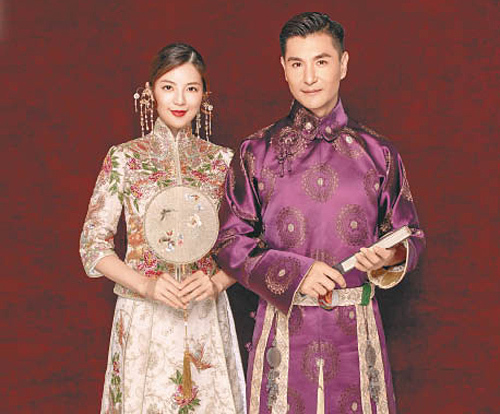 With only one day left to their wedding, Ruco Chan (陳展鵬) and Phoebe Sin‘s (單文柔) excitement levels are growing. The couple’s wedding banquet will be held at the Four Seasons Hotel in Hong Kong on Saturday, October 13. Although only inviting very close family members and friends, Ruco promises to give Phoebe a wedding that she would never forget. Taking wedding photos on the streets of London and Paris earlier, the couple wanted to capture more sweet memories for their album. They especially hired a photography team from Xiamen to take photos of the couple in traditional Chinese wedding outfits yesterday. 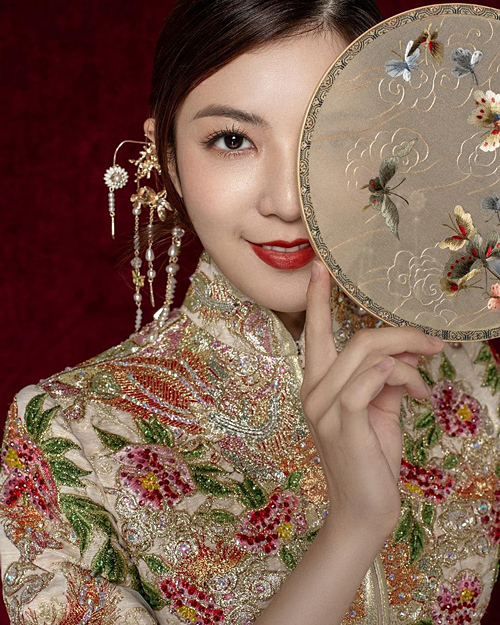 Wearing a qun kwa for the first time, Phoebe was ecstatic over the exquisite details of her gowns and headpieces. While not feeling especially nervous yet, Phoebe’s voice grew hoarse due to lack of rest. 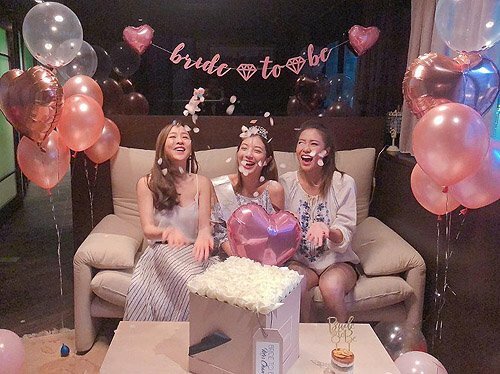 This week leading up to the big day has been especially busy for Phoebe, who did not expect friends, Tiffany Lau (劉穎鏇) and Joyce Ngai (魏韵芝), to throw her a surprise bachelorette party. Hoping to make the wedding extra special for their guests, Phoebe has been busily preparing the party favors and coordinating with the hotel. 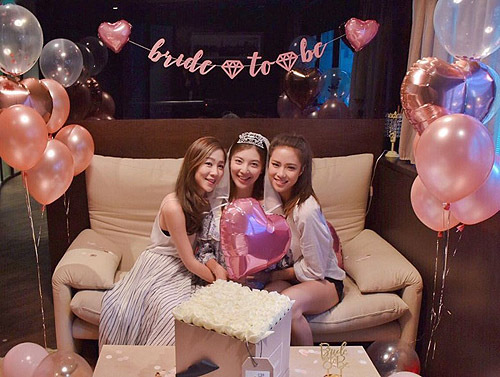 Phoebe said, “Since there are many things we want to do better, it became more complicated.” To add an extra personal touch, the couple recorded a video clip which will play at their wedding banquet. One More Day Until Ruco and Phoebe’s Wedding! 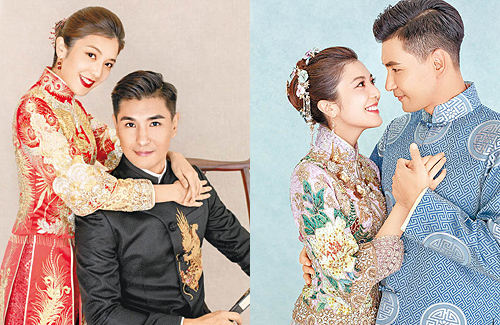 The photo shoot for the Chinese wedding outfits are better than their previous one. The oufits are beautiful, but I wish the pictures were taken outdoors. Natural scenery would have been perfect.